A blue Valencian high-quality vase with fresh roses. Instead of plugging your your youtube channel, you could actually be helpful for those searching for information and type it out. 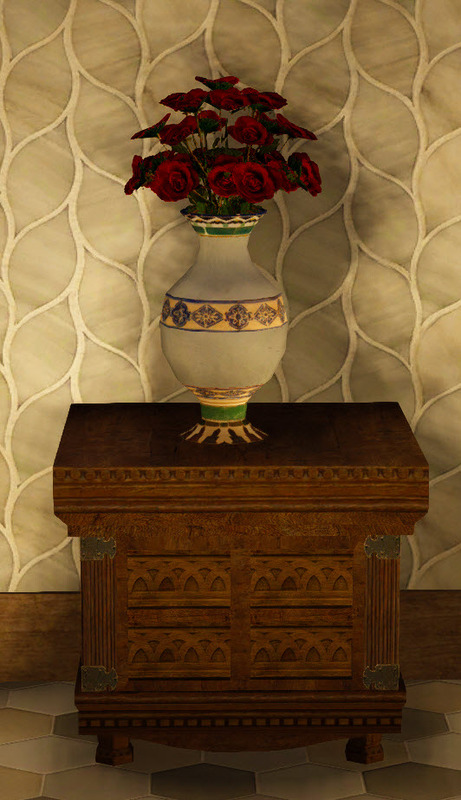 The Red Rose Vase is a housing decoration (+18 interior points) acquired by planting & harvesting a Glossy Seed in a farming plot.